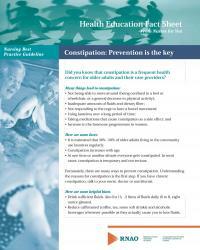 Constipation is a frequent health concern for older adults and their care providers. Fortunately, there are many ways to prevent constipation. Understanding the reasons for constipation is the first step. 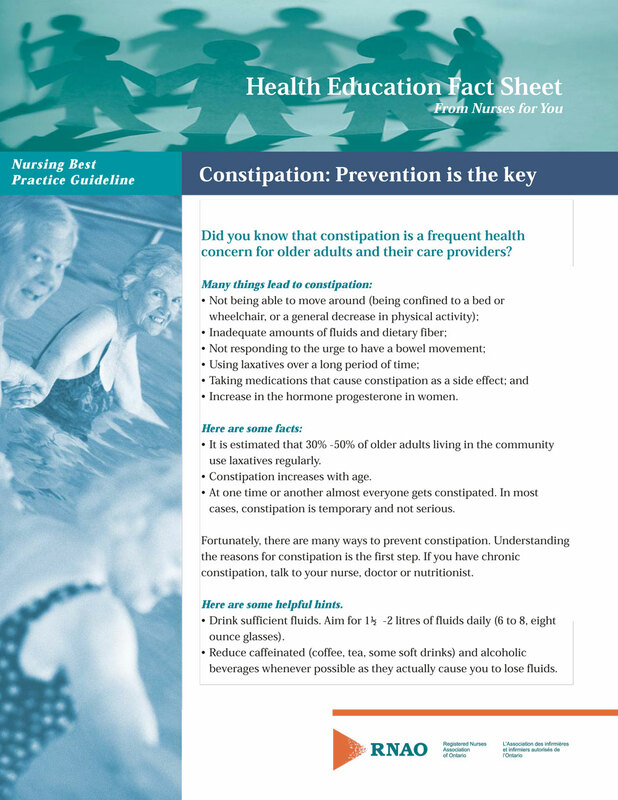 If you have chronic constipation, talk to your nurse, doctor or nutritionist.